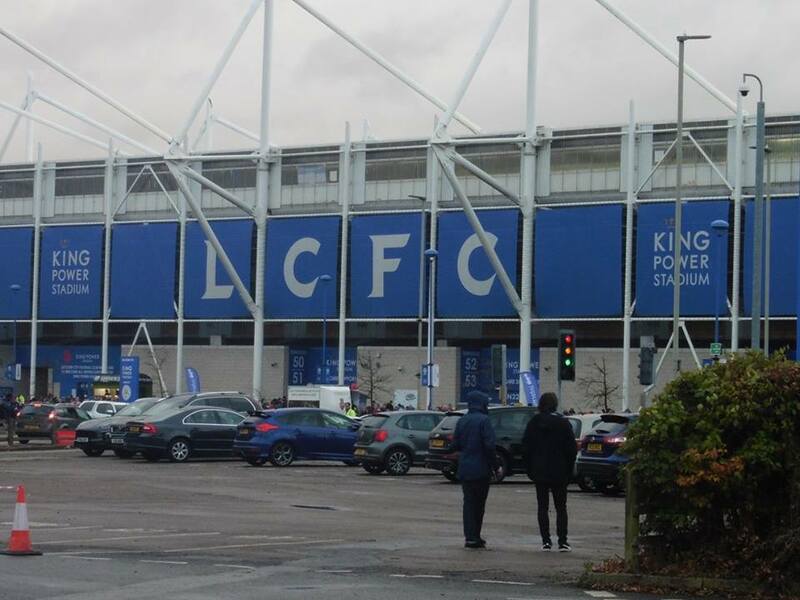 Last match I went to see: Leicester City 1-2 West Bromwich Albion, Sunday 6th November 2016, Premier League. 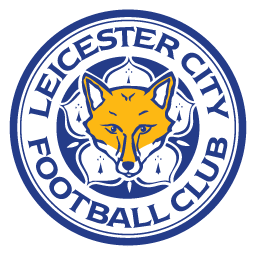 Leicester City Football Club were formed in 1884. 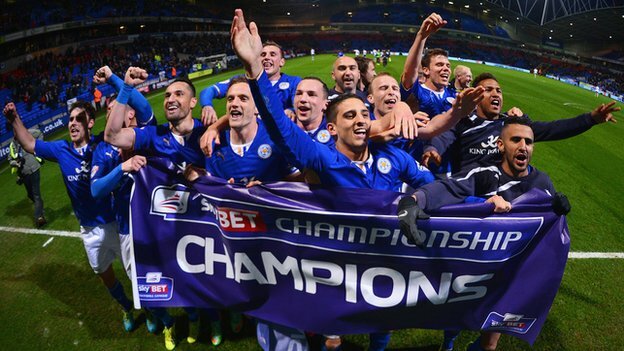 They were formed by a group of old boys at the Wyggeston School as Leicester Fosse. 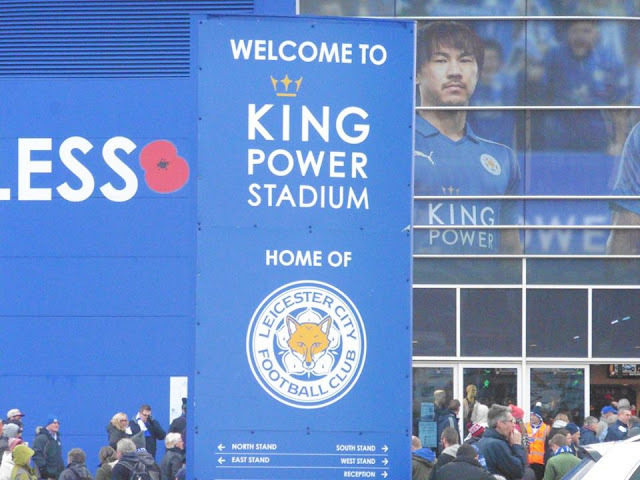 They were later renamed as Leicester City. Before moving to Filbert Street, Leicester's old ground, Leicester had previously played at 5 different grounds, including Victoria Park, which is fairly close to Leicester train station. 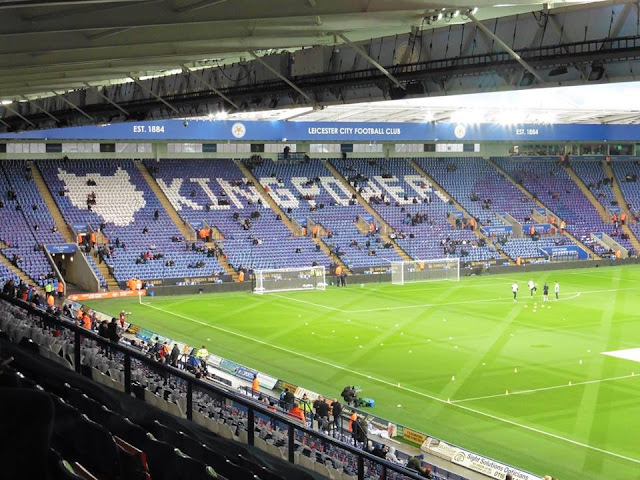 Leicester City were elected to Division 2 of the Football League in 1894. 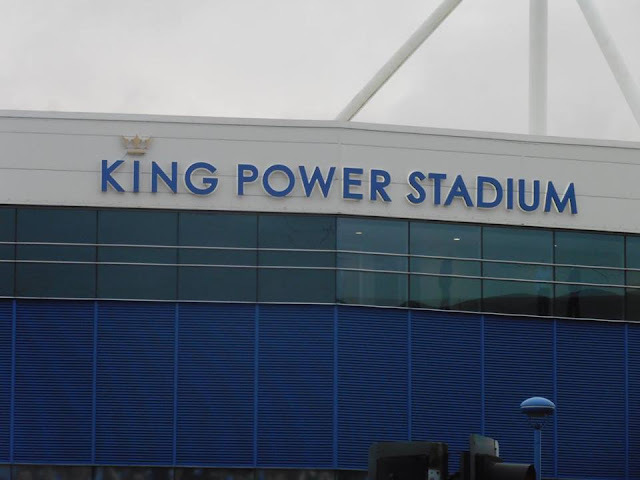 Their 1st ever Football League game was against Grimsby Town, they lost 4-3. 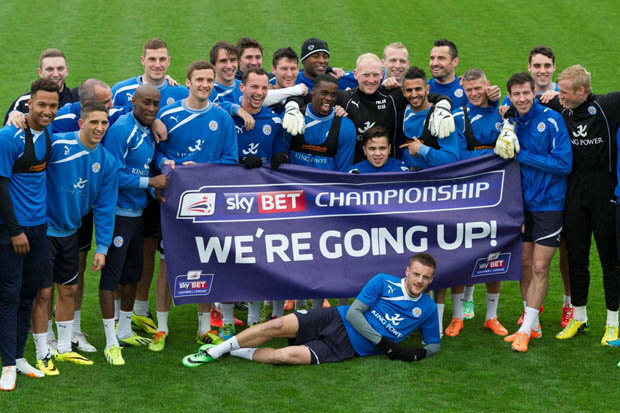 Leicester City's 1st title win came in 1925 winning the 2nd Division on 59 points from 42 games. They beat Manchester United to the title by 2 points. Before moving to what was then called The Walkers Stadium in 2002, the club previously played at Filbert Street. 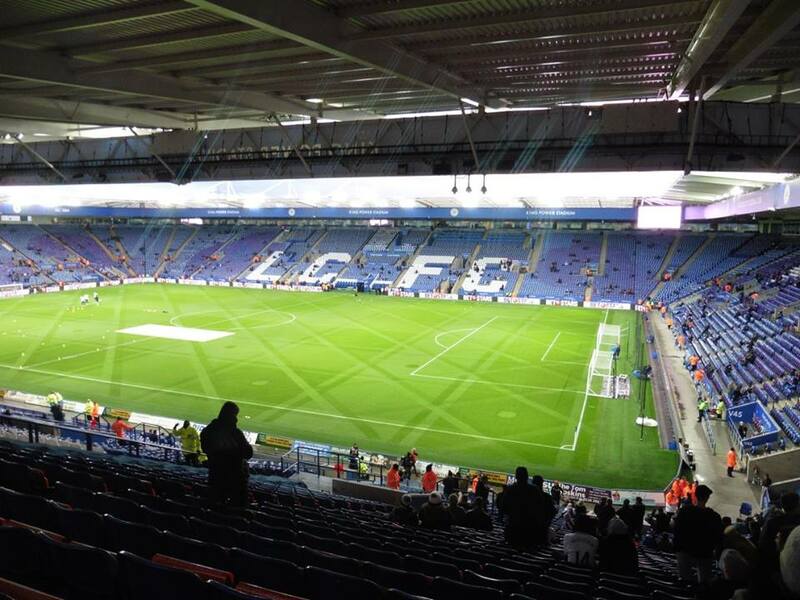 They played there from 1891 to 2002, at closure the ground held 22,000. 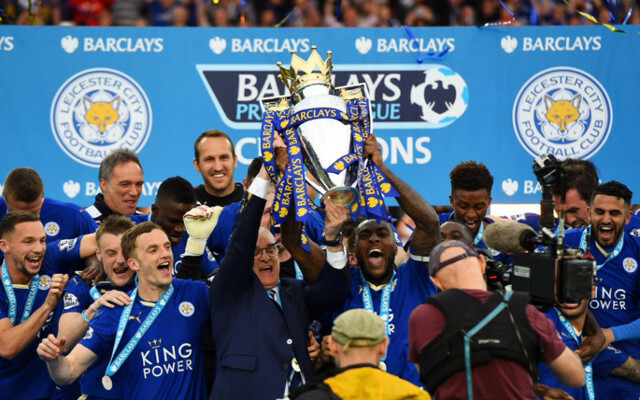 In recent times, Leicester's best ever achievement was winning the Premier League in 2016. 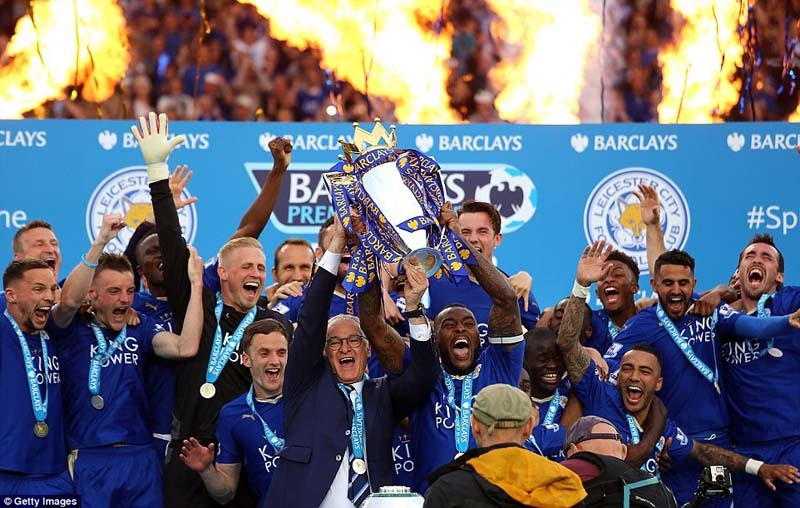 In recent years it had mostly been the same top 4 sides eg, Arsenal, Manchester United, Chelsea, Liverpool etc so for Leicester to win the Premier League when no-one least expected them to is an incredible achievement. 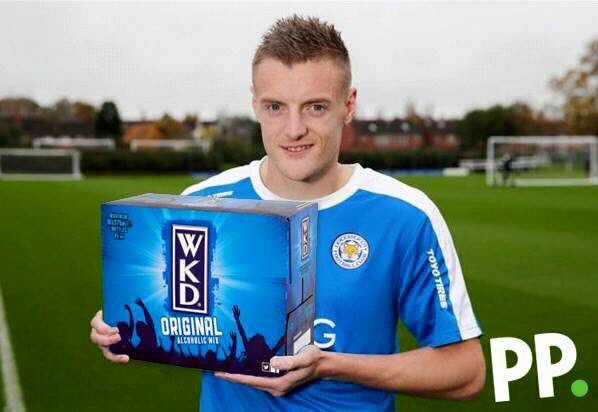 Leicester won the league on 81 points, beating Arsenal to the title by 10 points. 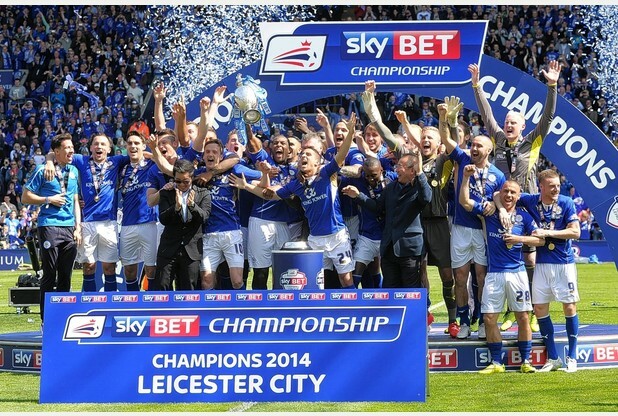 Leicester City have rivalry with Coventry City, Nottingham Forest and Derby County. 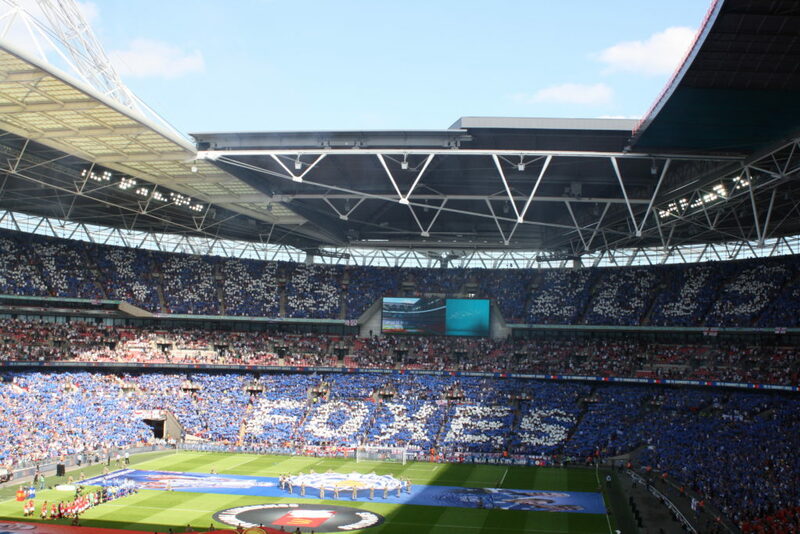 Famous Foxes fans include Kasabian, actor David Neilson, Manish Bhasin and others. My first visit came about when I noticed there were a few fixtures in the Premier League and it was a choice out of 2. Hull were at home to Southampton and I was toying with that one, but train prices were quite expensive and plus it was a 2.15pm kick off which meant me leaving home early and I couldn't be bothered quite frankly haha. Or the other one was Leicester v West Brom. 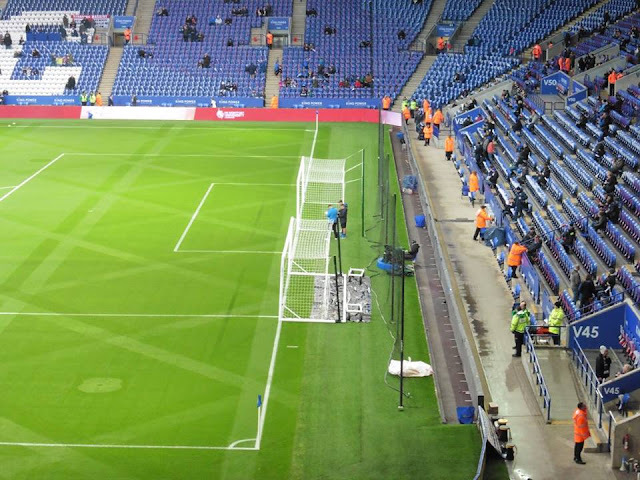 This one was perfect as it was a half 4 kick off which the latest would have got me home would have been just before 11 which wasn't too bad. 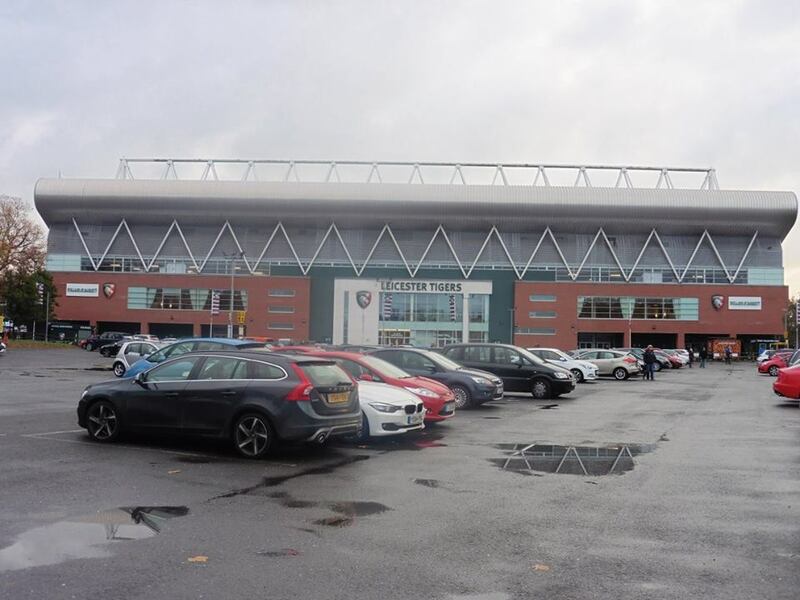 I was thinking about Swansea v Man United as well even though I'd only been there the once, a re-visit wouldn't have been a bad option but decided to leave Swansea for another day. 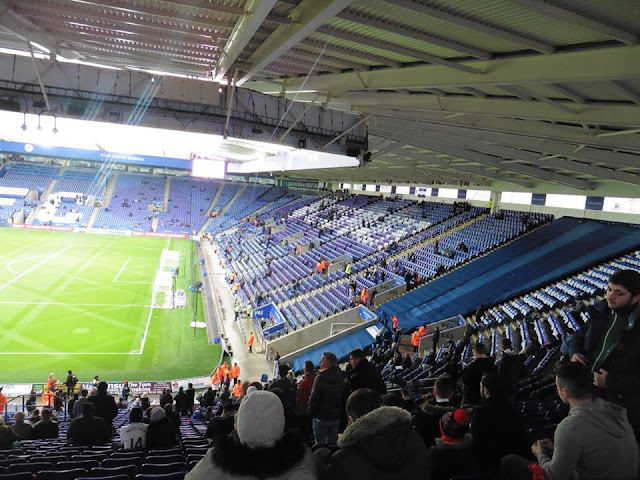 Anyway I decided on Leicester v West Brom, so having a look at tickets on Leicester's website, it was quite a pain to get hold of tickets as you pretty much have to be a member to have any chance of getting tickets. I gave the club an email and they just pretty much said it's unlikely it will go on general sale. 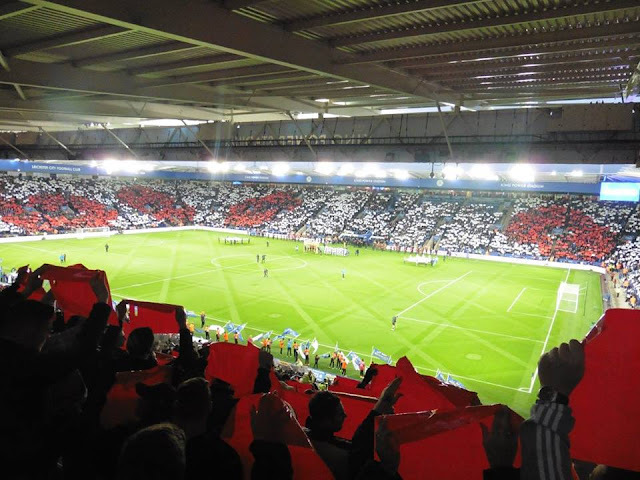 So after that, I thought well I'll have a look at tickets in the West Brom end but wasn't getting hopes up. After I looked, I noticed that funnily enough, tickets went on general sale the next day, so after looking quite late when I got home from work, luckily there was 200+ tickets left, so I ordered one. 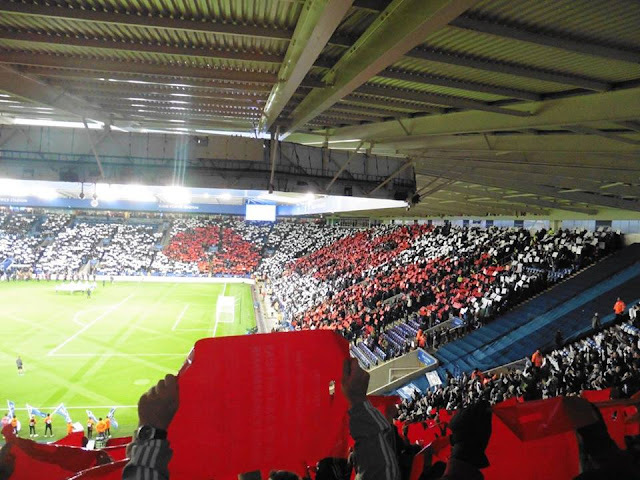 And despite preferably wanting a ticket in the Leicester end, I'm glad I got a ticket in the West Brom end anyway atmosphere wise. Anyway, after booking my ticket and train ticket online, I was all set to go and tick off my 70th ground of the 92. The night before came and after checking out Google Maps, I happen to notice that from the station to the ground, I'd be walking past Rugby Club, Leicester Tigers, not a massive fan of Rugby but none the less I'll more than likely take a couple of pics anyway as I know a few people who are massive Rugby fans. And of course finally Leicester's old ground Filbert Street. 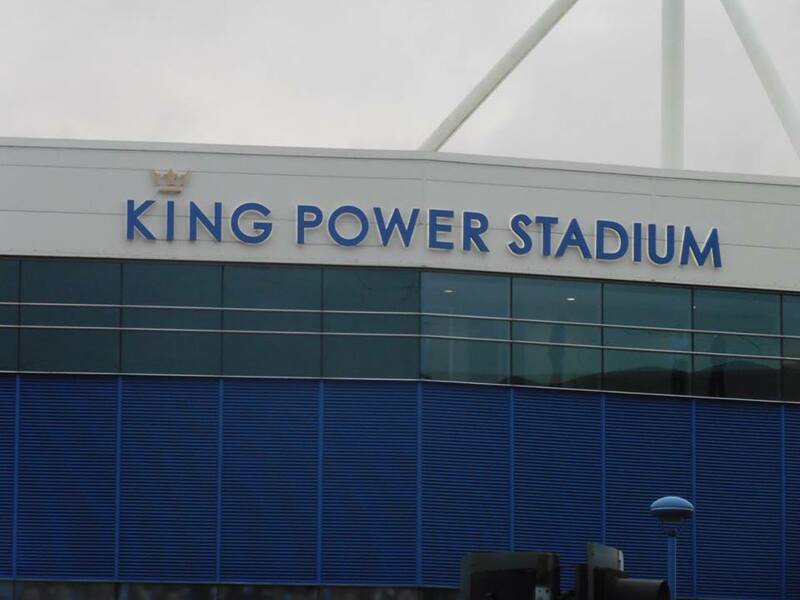 Well I'd planned on visiting there anyway, so luckily it was en route to the King Power anyway which made it easier anyway. Anyway I set off home just before 10am and went a different route to London as there were planned engineering works in the Tonbridge/Sevenoaks area, so ended up going via Ashford instead. 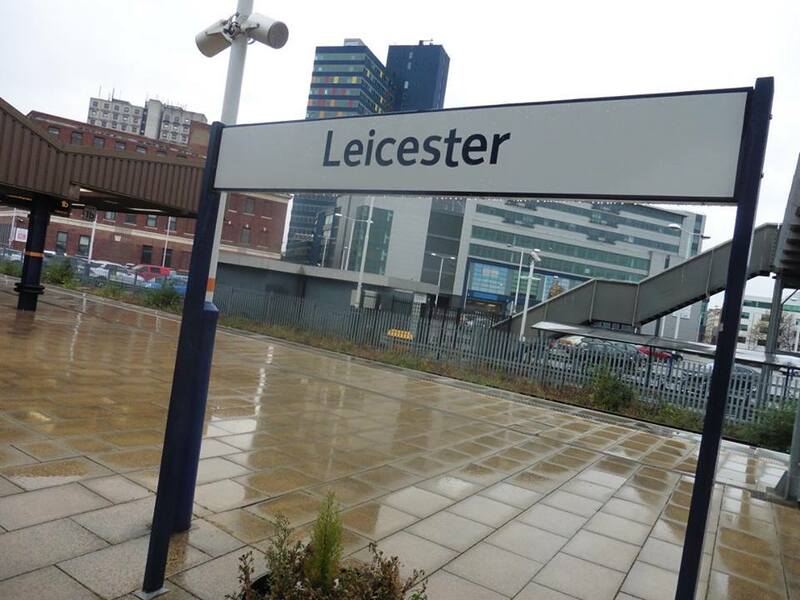 I got into St Pancras around 11.20 and left there for at around 12.10 which then got me into Leicester just before 2pm. 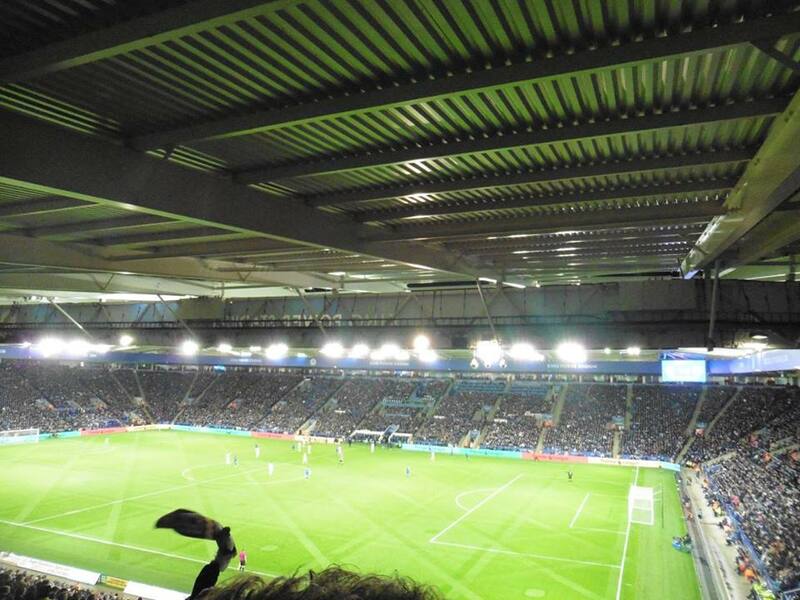 Leicester City's former home, Filbert Street. 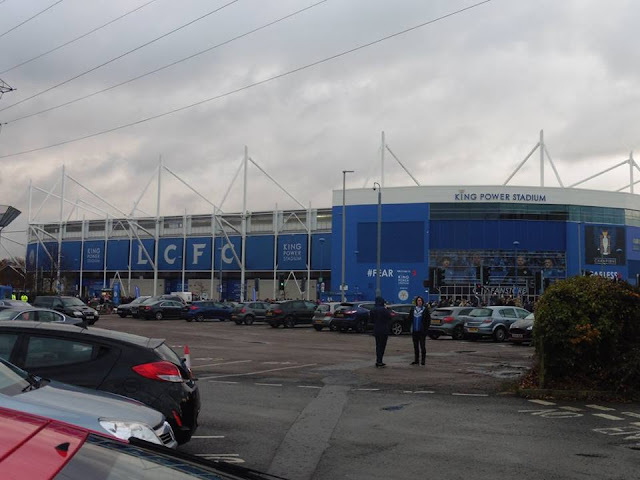 So, after I got into Leicester just before 2, I grabbed a bite to eat at McDonald's and had a look round in the High Street just to kill a bit of time, and playing a bit of Football Manager in McDonald's for a little while. Whilst time went, I then made my way towards the King Power and of course saw Leicester Tigers' ground and then shortly Filbert Street. 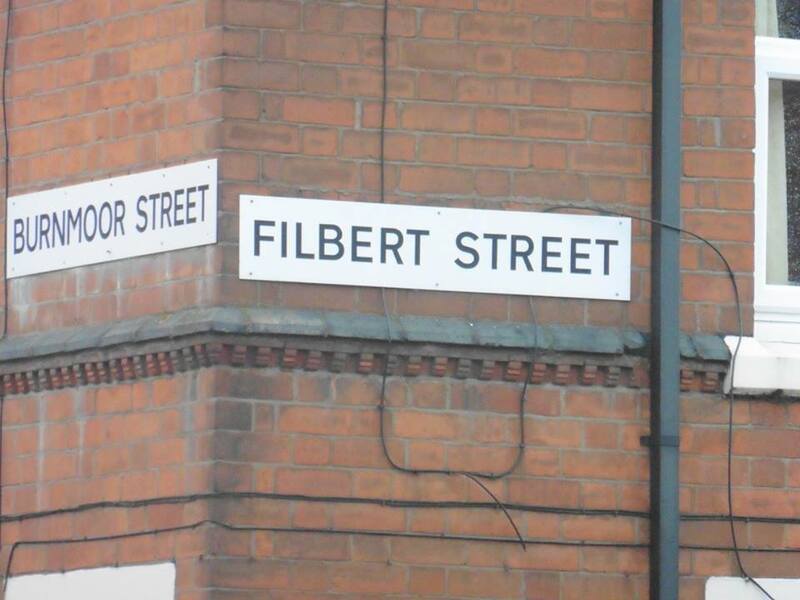 Filbert Street had been on my agenda to visit for quite some time as after seeing YouTube videos and pictures over the Internet, it looked a unique ground before it got demolished. I am gutted to have never gone there when it was in existence but that's life. 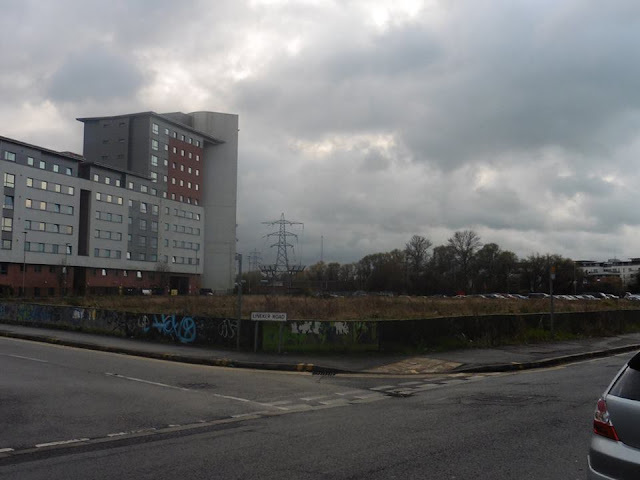 Anyway, all that's there now is a University and the road named after former Leicester City player and of course Match of the Day presenter Gary Lineker. 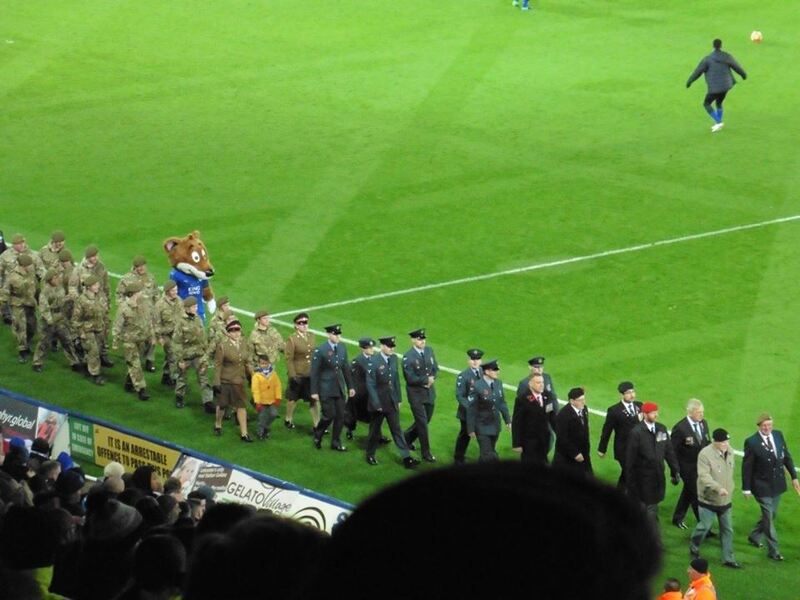 I got to the ground around half 3, got a programme and went in the ground. 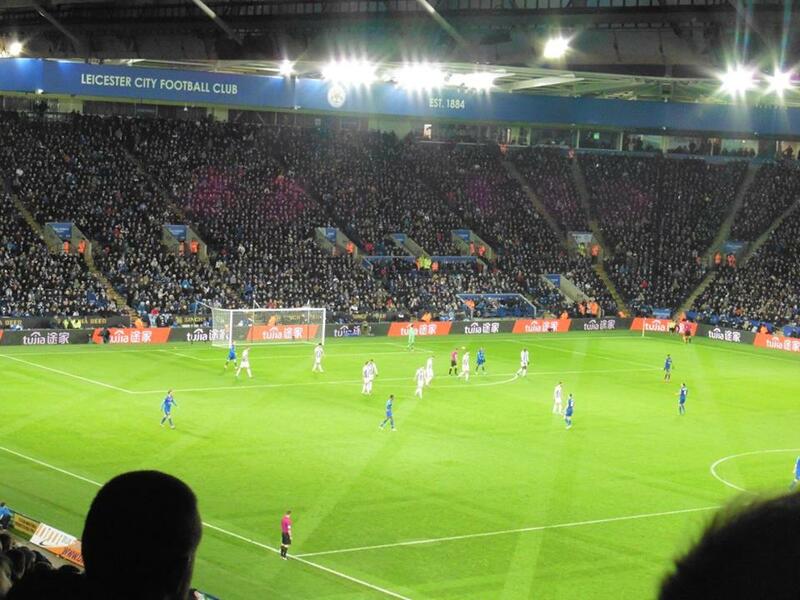 Onto the game itself, the 1st half was just flat and not a lot happened but 2nd half was much better. Both teams went for it but West Brom looked just the better side, defended well and took their chances, especially the winner which was a back pass which went wrong for Leicester and which saw Matt Phillips tuck the ball in nicely. Have to say, a huge credit to West Brom fans, non stop singing through pretty much all game, and I'm glad I chose to sit in the West Brom fans anyway. 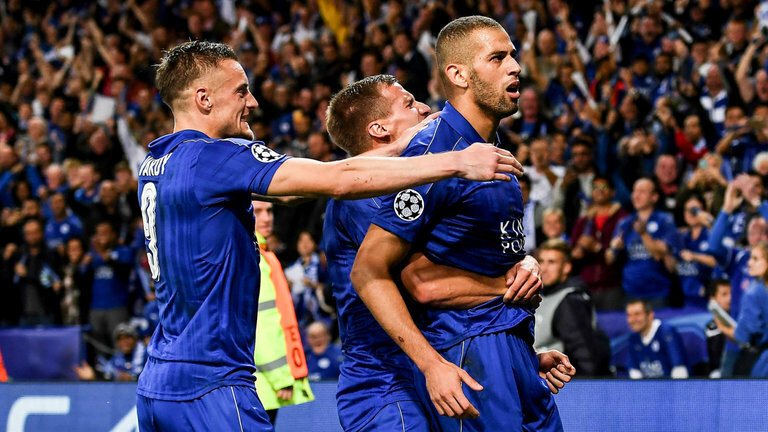 Didn't really hear a peep from the Leicester fans only briefly at the start of the game and when they scored, but that's it really. Turned out to be a brilliant day, certainly worth going after seeing another Gillingham performance the day before against Brackley in the FA Cup which ended up in a replay that we really didn't want. 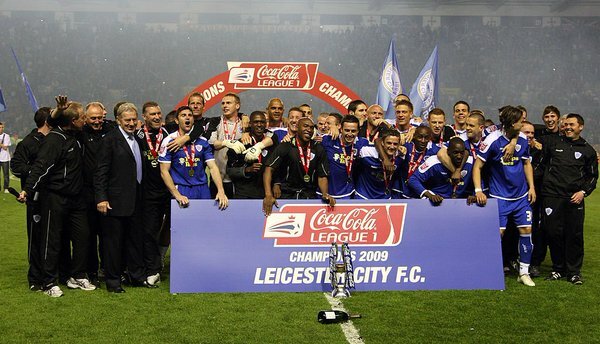 Anyway, after leaving Leicester at just before half past 7, I got home just before 11 which wasn't too bad. Only annoying thing that ruined the day a bit was having to stand up all the way from Leicester back to London on the way back due to the train being busy which baffled me as it was a Sunday evening, plus there was hardly any Leicester/WBA fans on the train but never mind. Overall, a good day. 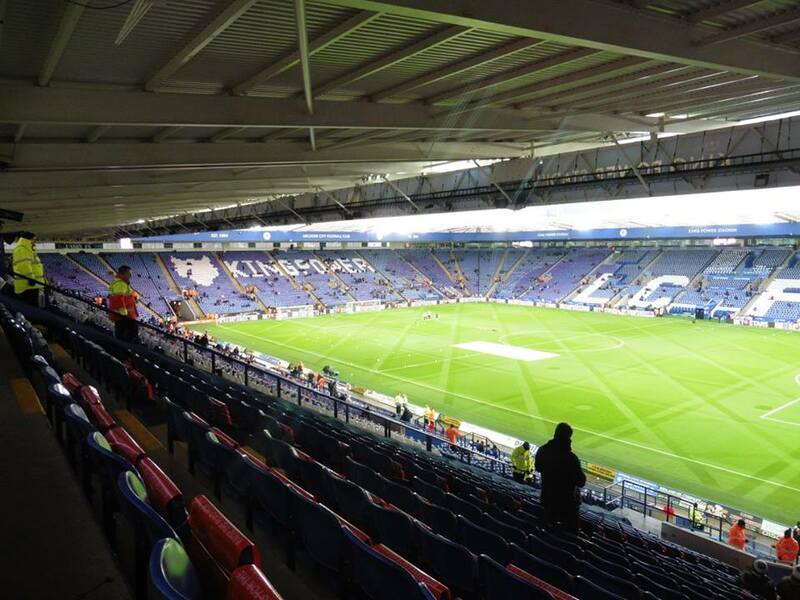 The King Power has been home to Leicester City since 2002 after the club previously played at Filbert Street. (Some photos above of what is Filbert Street now I took on my visit) The capacity at the King Power is 32,312 and was previously known as The Walkers Stadium. 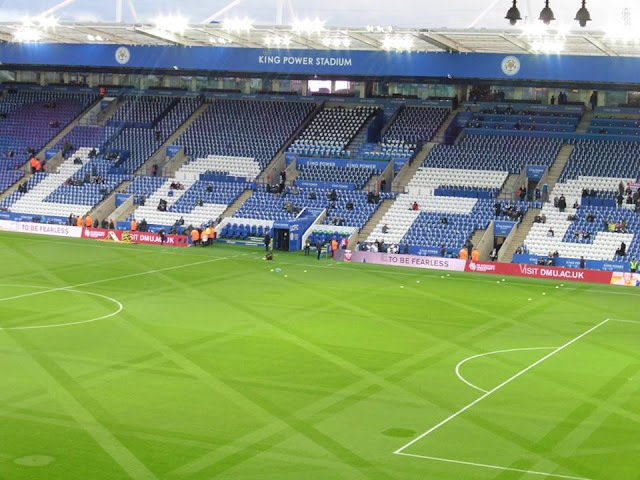 Away supporters are located in the North East Corner of the ground which can be allocated up to 3,000 supporters. Leicester railway station is around a 25 minute walk to the ground.